Birds make fantastic pets and just like cats and dogs, they each have their own unique personality. Now it is certain that you are going to have ideas about what you want to name your bird before you ever even bring them home. Having a great idea about a name is one thing but waiting to see how they act, what they do, and how they are is another great way to make sure you get the right name. Birds are unique and as such their names should reflect their personality. For some, choosing a name is based entirely on their physical features. Though this is a great way to get an idea of the name you want to use, you can use so many different things to find the perfect name. Gender is also not the only thing that can help you choose the right name. When choosing your bird’s name you should consider physical features, personality, and gender to find the perfect mix that is going to be the name of your feathered friend. Though naming your bird might seem like a simple task, there is a science to naming your pet bird. Taking the time to get to know them might result in a name that better fits their personality as well as breed and physical features rather than just being a name you chose. You can always name your bird after someone you know but there are just as many cute names that have nothing to do with your friends and family. Here are 200+ bird names in an easy to read bird names list to choose from that are simply wonderful. These are names that are going to be seen time and again and that are great for those that are looking to name their birds’ something easy and fun. many people associate male birds with names that are masculine and tough, you can find some great names and inspiration from literary characters as well to find the perfect name for your little man. Female names are not always soft and sweet, you can find plenty of powerful female names for your bird that are perfect. We all love a good cute name and for smaller bird breeds like love birds and parakeets, these sweet names might be just what you are looking for. Not worried about gender? 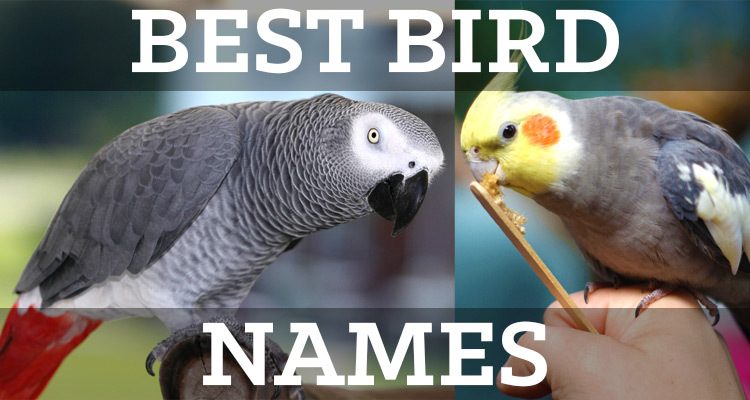 Here are some fantastic unisex names for your feathered friends. No matter what name you choose, know that your bird will thank you for taking the time to come up with a truly unique and special name for them. Your pets are part of your family and with the right name you can have a pet that not only fits the name you have given them, but that has a name that is unique and different from other pets of their species.